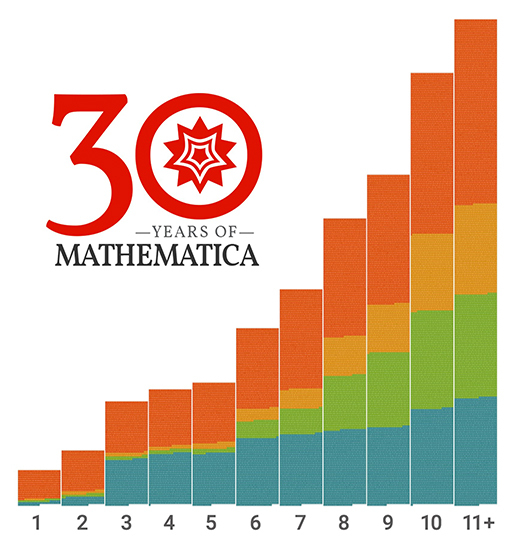 Mathematica—Three Decades of Contributions, Invention, Discovery, and Education : June 23, 2018: Mathematica turns 30! June 23, 2018: Mathematica turns 30! We’ve come a long way in 30 years (but you haven’t seen anything yet!). Read Stephen Wolfram’s blog post.